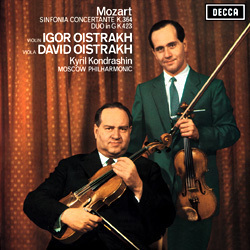 On the B side, the Duo for Violin and Viola, K. 423 is a welcome bonus since it offers a wonderful opportunity for a display of virtuosity and counterpoint. And of course the old question pops up once again as to who is the better master of his instrument: father or son? The answer is simple: neither the one nor the other! – Both, of course!